VA - Saamisaundi Vol . 3 (2019) - Музыка mp3 - Каталог файлов - Развлекательный сайт! Last part of the compilation series dedicated to honor the Saami, that are the Indigenous people of Sápmi, Saamiland which covers the northern parts of Norway, Sweden, Finland and the Kola Penninsula of Russia. Saami ancestral areas have great spiritual and cultural importance and are currently experiencing an explosion in mining and windpower development with both Scandinavian and foreign companies that threaten to destroy the environment and biodiversity. 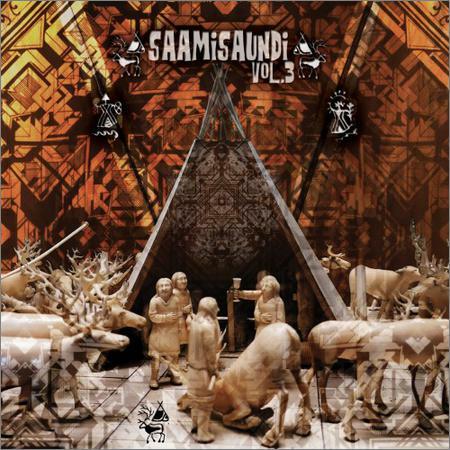 This compilation tries to raise awareness regarding the challenges faced by the Saami people, with tracks kindly donated by the artists for this purpose. All the profits will go to our benefit project Indigenous S.O.S. that supports indigenous people N.G.O.s around the world like Cofan Survival Fund, Amazon Watch, Native Planet & Survival International.